The Mac Daddy of all river cruise itineraries in Europe is the Grand European Tour from Budapest to Amsterdam. Since Dan and I had taken on a Rhine River cruise (Basel to Amsterdam) a few years ago, how could we resist Viking's invitation to take this one? Our cruise began here, in Budapest. Our ship, Viking Bragi, is docked next to the bridge. The general pattern on river cruises is that every port of call begins with a guided tour (included), after which you have leisure time until the ship sails. As for lunch, although some passengers return to eat on the ship, many others—including ourselves—prefer to stay in town and buy their own noontime meal. Nothing on board can match ordering local food in a local restaurant with local patrons. To us, it adds another layer to the experience of being in another country. One thing about this tour: Be prepared for a lot of scenery, culture, UNESCO sites, history and food. 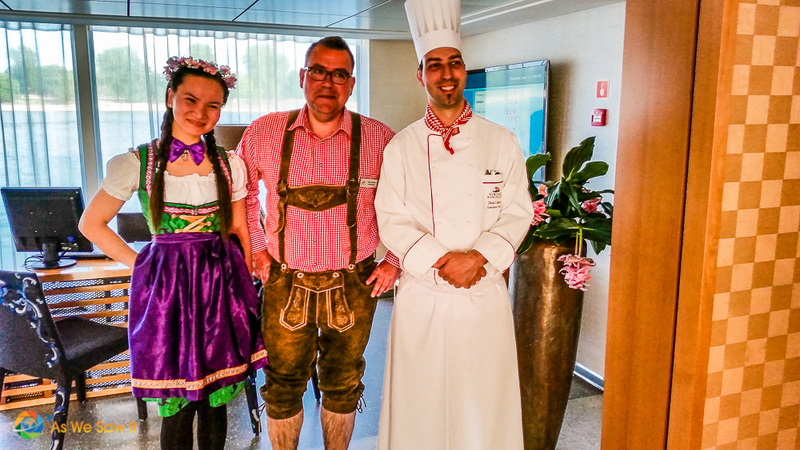 These are all prime topics in European river cruise itineraries … so if that suits your taste, you will really enjoy European river cruising. This is Viking's map of their Grand European Tour itinerary. Day 1: Our Grand European Tour begins in mid-afternoon with an organized walk in Budapest. The meal tonight', they promise, will be a traditional Hungarian dinner accompanied by local wines and beers. We are quite fond of Bulls Blood, a red wine that is popular overseas, and are really looking forward to sampling more of the country's other wines. It's sad that most are unknown in the States; Hungary's Tokaj wine region is so phenomenal that it is a bona fide UNESCO site. Day 2 begins with a morning tour of Budapest. Many of the city's attractions are recognized as World Heritage Sites, such as Buda Castle Hill, Banks of the Danube, and Andrassy Avenue. 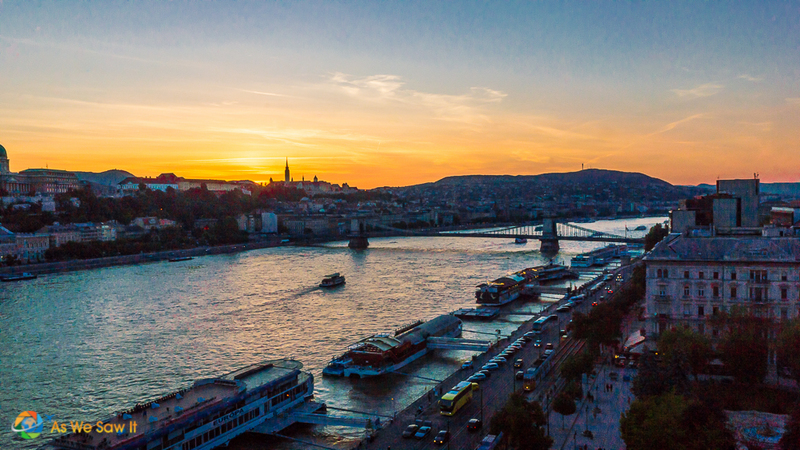 We will visit Pest’s National Opera House and historic Heroes’ Square, then cross the river to Buda, where our tour will take us along Castle Hill to Fishermen’s Bastion and Matthias Church before we return to the ship for lunch. Hungarian Horsemen: Lazar Equestrian Park (trip to see a horsemanship exhibition). The second evening in Budapest begins with a Welcome Reception, where we will get acquainted with our Program Director and traveling companions. They promise an evening departure which will result in some phenomenal photographs. 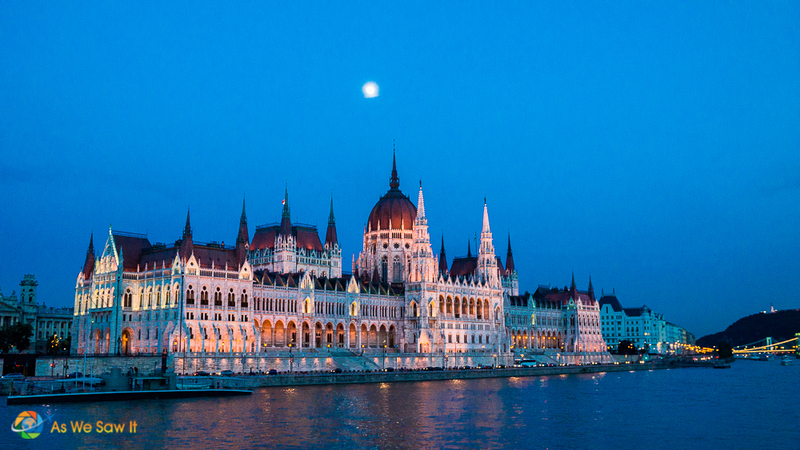 Evening cruising through Budapest on the Danube is said to be spectacular. It’s a long way to Bratislava. 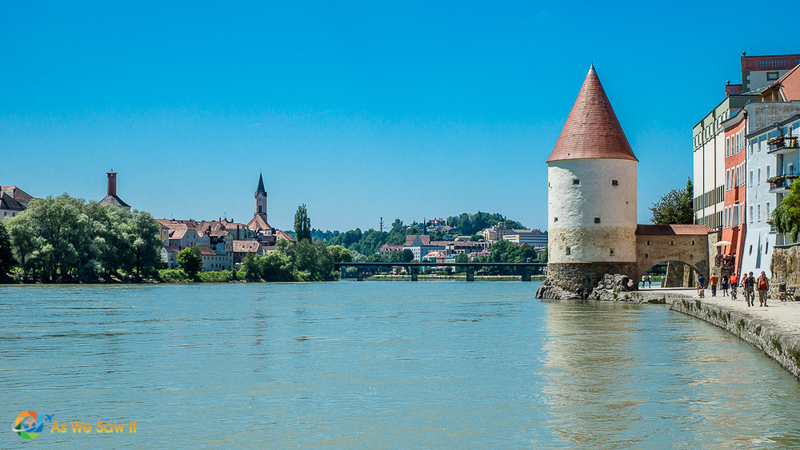 We will spend our morning sailing the through some of the most scenic parts of the Danube. I'm sure Dan's going to be plenty busy with his camera. 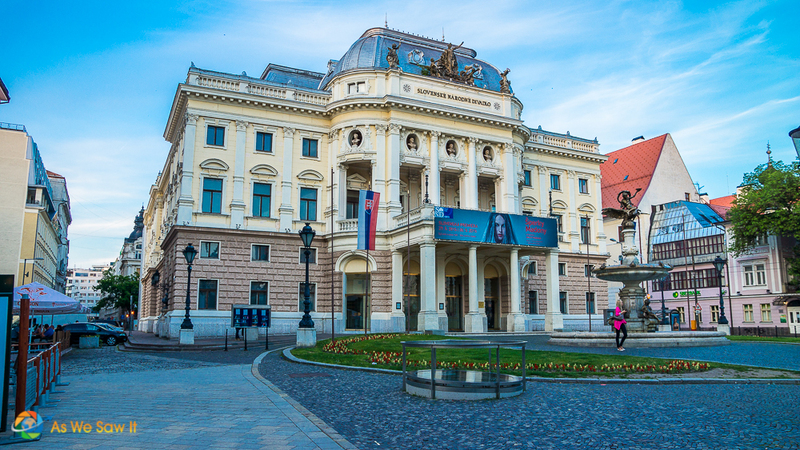 After lunch passengers will be able to join a walking tour through Slovakia’s charming capital, Bratislava, to see attractions like the medieval fortifications at Michael’s Tower, baroque Jesuit Church and Gothic St. Martin’s Cathedral. (Obviously the city's been around for quite a while.) 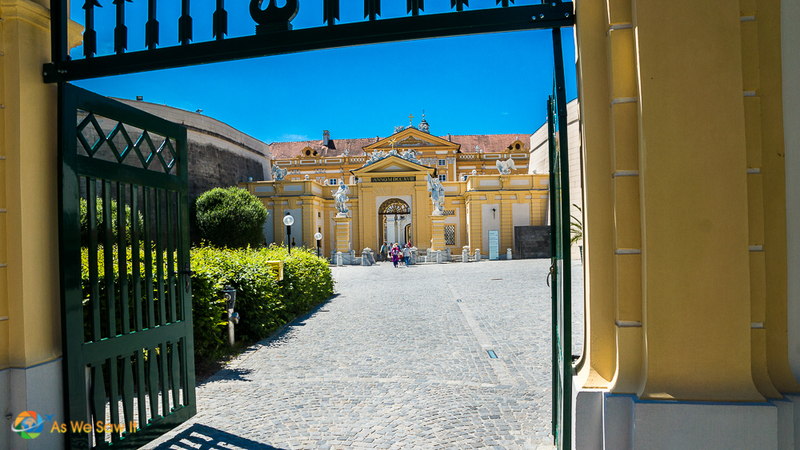 The tour also passes by several baroque palaces from the Hapsburg Dynasty and a few of Bratislava's humorous bronze statues. We won't be on that tour, however. There is an optional tour to visit a local family in their home. We will enjoy a chat about life in Slovenia over afternoon tea and cake. The ship departs late in the evening so we hope to make it into Bratislava's old town afterwards to see what we can and get some nice photos. And yes, of course we'll find some local fare to sample as well. We've long wanted to visit Austria and we will get an opportunity today when we tour its capital, Vienna. The Historic Centre of Vienna is a UNESCO site and there is plenty to see. We will see some of the city’s baroque architecture, including the world-famous Opera House, St. Stephan’s Cathedral and Hofburg Palace, then return to our ship for lunch. Many fellow passengers will spend their free time walking around Vienna this afternoon. 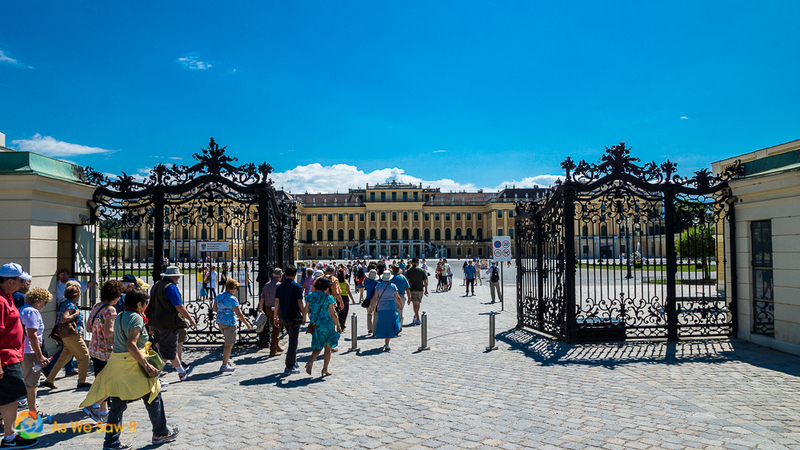 We, on the other hand, will join the optional afternoon tour to Schönbrunn Palace, a UNESCO site as well. It is called the “Versailles of Vienna” due to its massive size (1,441 rooms!). This morning we enjoy some scenic cruising through the Wachau Valley, heart of Austria’s wine country. The Wachau is a stretch of the Danube Valley between Melk and Krems, and is of such unsurpassed beauty and historic importance that it has been named a UNESCO World Heritage Site. Melk's crown jewel is its abbey, an incredibly ornate 900-year-old Benedictine monastery featuring Austria’s finest Italian baroque architecture. So we will tour Melk Abbey and see its wonderful frescoes as well as a library with an extensive collection of medieval manuscripts. Passau lies where the Inn, Ilz and Danube Rivers meet. Our guided walk along the town’s narrow streets takes us through Old Town and past many traditional patrician houses. We see the New Bishop’s Residence and visit the impressive baroque St. Stephen’s Cathedral with its ornate interior. We will also be treated to a special noontime concert on Europe’s largest church organ (17,000 pipes). Then, our guide will leave us time to explore Passau on our own. 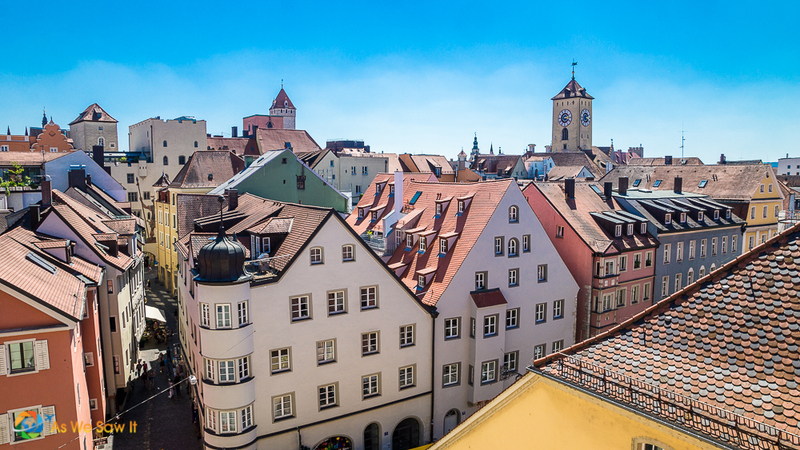 Regensburg is a wonderfully preserved medieval city, full of medieval architecture, dark and narrow lanes, and strong fortifications; that's what makes it a UNESCO site. We tour the town’s market, city hall and the splendid St. Peter’s Cathedral, discover many 13th- and 14th-century patrician houses, and see ancient Roman, Romanesque and Gothic buildings. Our morning is spent on board. Viking offers a morning talk about the European Union as we cruise our way to Nuremberg. 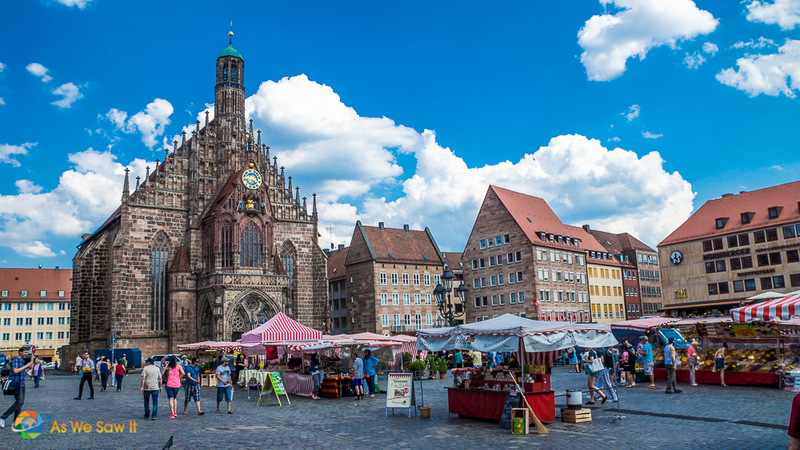 The afternoon walking tour of the Old Town area will include the Albrecht Dürer House and Main Market Square as well as Zeppelin Field (the Nazi parade grounds of the 1930s) and the Palace of Justice, site of the infamous Nuremberg Trials. Or, for World War II buffs, Viking offers an optional tour of the Documentation Center instead. We spend the morning cruising through the 106-mile long Main-Danube Canal and passing through some of its 16 locks. Charlemagne first thought of continuous river travel from the North Sea to the Black Sea in 793, but it took until 1992—a whopping 1200 years—to accomplish. 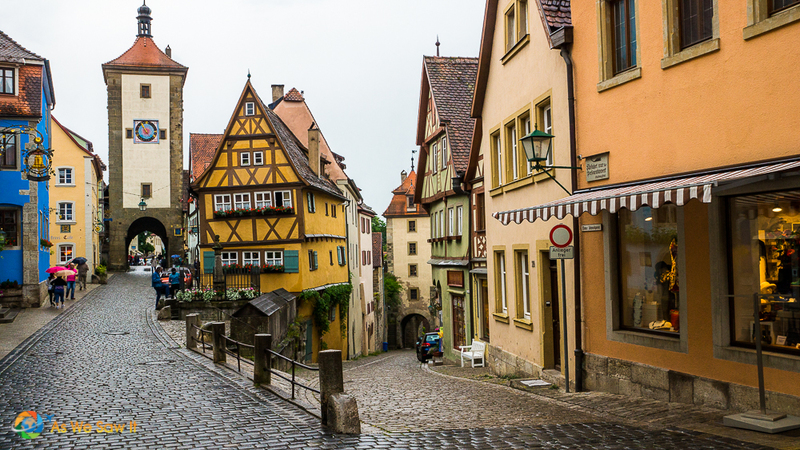 We also enjoy a walking tour of Bamberg’s medieval city center. 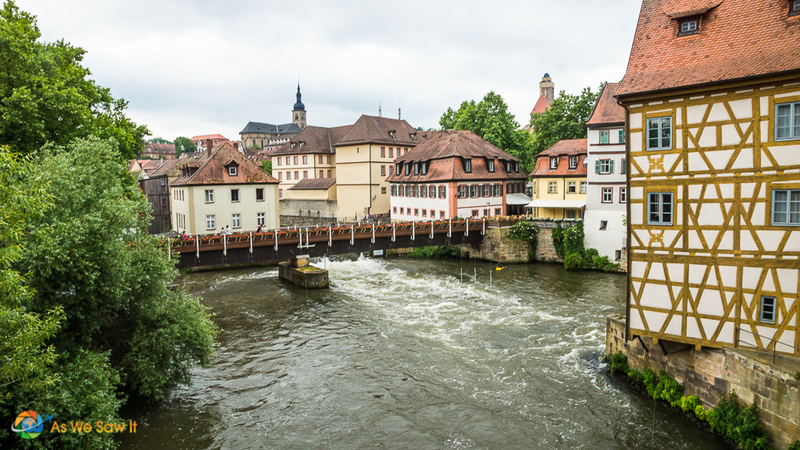 Bamberg has a magnificent 11th-century cathedral and a picturesque city hall built on a tiny island in the middle of a river. We will also enjoy this UNESCO site on our own and maybe even sample some of the town’s distinctive smoke-flavored beer before returning aboard. Morning: In the morning we'll join Viking’s optional excursion to Rothenburg ob der Tauber, Rothenburg ob der Tauber, which includes a scenic motorcoach ride along the famous “Romantic Road.” Rothenburg is a medieval town with charming half-timbered houses, a turreted city wall and impressive Gothic and baroque architecture. Afternoon: After a traditional German lunch in a local restaurant, we will continue our day of sightseeing in Würzburg. 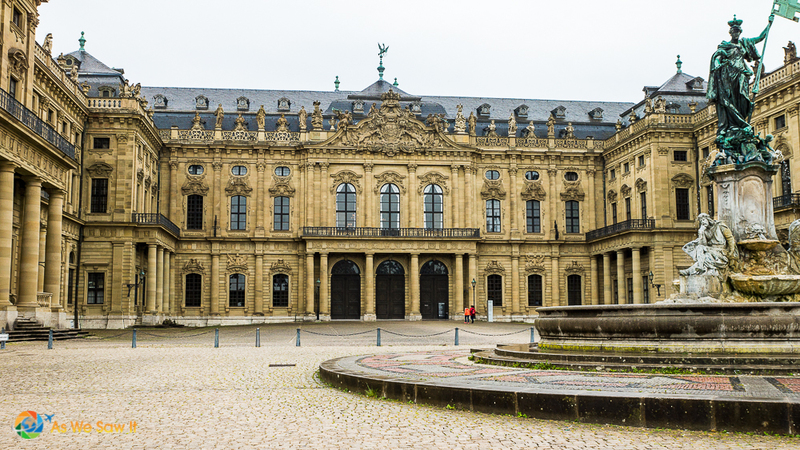 We are looking forward to seeing Würzburg’s Bishops’ Residenz, one of Germany’s largest and most ornate baroque palaces and a UNESCO World Heritage Site. After another delicious dinner on board Viking will host an evening glassblowing demonstration on board. Wertheim is located at the confluence of the Main and Tauber Rivers. 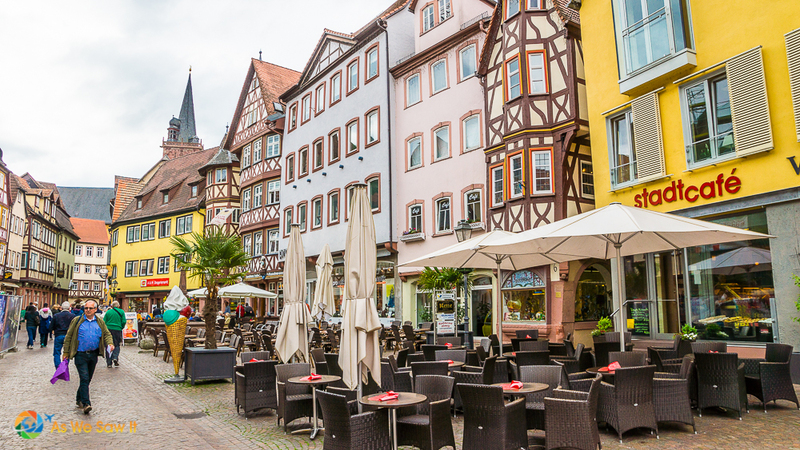 During our morning walking tour we will experience life in a typical small German town. Our walking tour includes a visit to the historic marketplace and a glassblowing studio where we learn about Wertheim’s glassblowing tradition. We can relax on board in the afternoon while we sail past the scenic vineyards of Franconia and enjoy some of the area's wines. 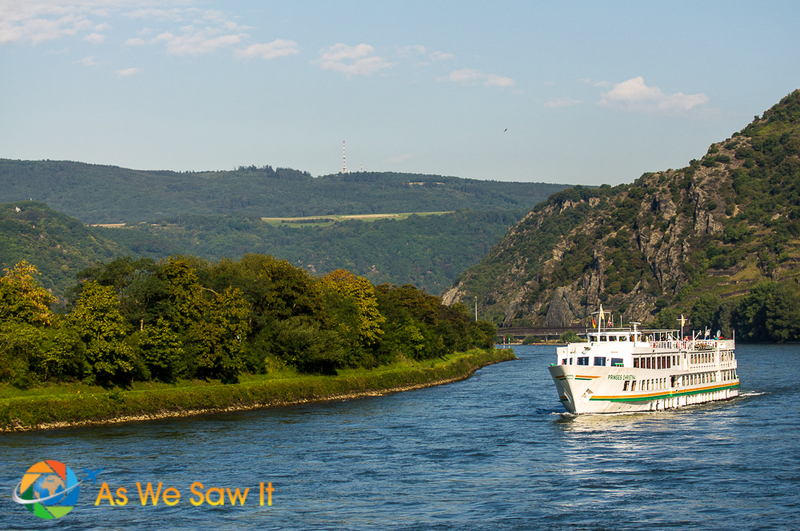 Today, we will relax atop our ship as we cruise past hilltop castles along a stunning stretch of the Rhine River. This is so special that the Upper Middle Rhine Valley has been designated a UNESCO World Heritage Site. Thus, there will be plenty of cameras on the Sun Deck as we pass the dozens of castles and vineyards along its banks. This will be our second time in the area and we are really looking forward to it. The view is stunning and the associated commentary is fascinating! After lunch it will be possible to tour one-of-a-kind Marksburg Castle, the only Rhine fortress that has never been destroyed. As a result, it is in perfect shape. However, we were there on our last cruise so this time we will travel up the Mosel by bus to sample some local wine. Our ship will be in Koblenz until late evening, the picturesque town where the Moselle and Rhine converge. Cologne is Germany’s fourth largest city. Our morning walking tour through Old Town passes St. Martin’s Church, the Renaissance city hall and the remnants of an ancient Jewish mikveh (a ritual bathhouse). Our tour ends at the Dom, Germany’s largest cathedral and a UNESCO World Heritage Site. The rest of the day is free to enjoy Cologne. I think we might visit the Chocolate Museum…. The Captain’s Farewell Reception will be a Taste of Germany buffet dinner. Afterward, we will leave the ship for the optional Prost! Tour. This will be a chance to experience Brauhaus culture and try Cologne's famous Kölsch beer. We will sail along the Rhine all morning. Therefore, Viking will keep us busy sampling Dutch cheeses and jenever (a distilled juniper liquor), and trying our hand at sjoelen (Dutch table shuffleboard). After lunch, our ship will arrive in Kinderdijk (still another UNESCO World Heritage Site!) for an afternoon tour. This is a fascinating experience, both for the photo ops and the opportunity to learn about windmills first hand. 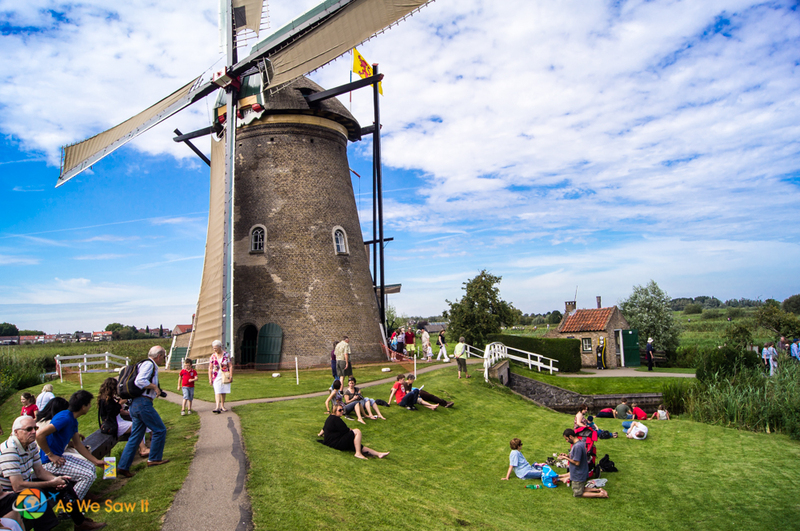 We will even have an opportunity to enter a working windmill for a tour of its mechanisms and living quarters. Passengers who would prefer an alternative can join a tour to a nearby cheese farm. Finally, we will enjoy dinner on board and our last evening together as we cruise to Amsterdam. Our cruise ship docks sometime after midnight. For us it will end after one last enjoyable breakfast, once again with local breads, cheeses and other specialties. 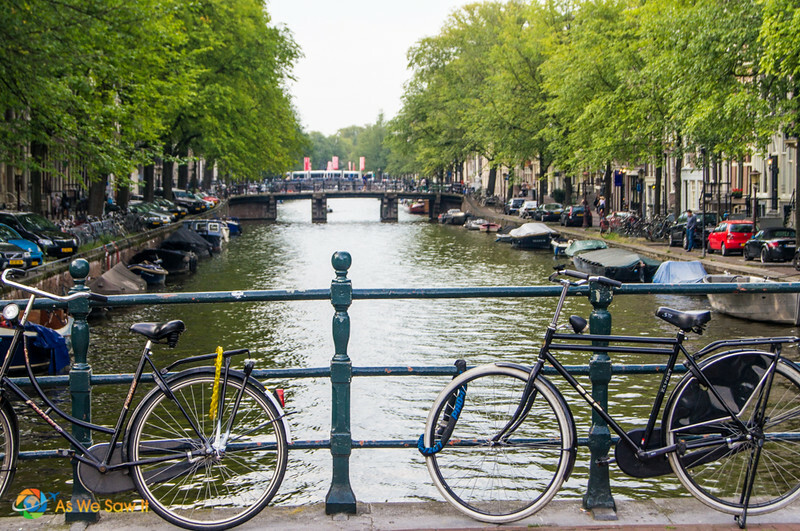 No Amsterdam tour is included on the itinerary (even though its canals are yet another UNESCO site) but before we fly home we will spend two additional nights in Amsterdam and enjoy the city’s neighborhoods, museums and exciting nightlife. Read more: Is the Viking Grand European Tour for You? See more: For more photos, please see our related photo galleries. If you like what you see, please join us on Pinterest or Instagram. I like your philosophy of never wasting a day in life. Bamberg is certainly a top place to spend one. Nice post. Thanks, Stuart. That cruise sure kept us busy – we didn’t waste a moment! What is the best month to travel on the europe ? We went in early June, but September would be nice as well, and daylight is still long enough. We prefer spring and fall, when school is in session and there are fewer tourist crowds. It seems a nice tour and honestly, I would like to follow this itinerary. Thanks for sharing this post and on a very honest note, I got much information about the European cities and countries. Well dang, Larry & Maggie, you’re right! Instead, you get an extra day in Vienna. As much as we enjoyed our time in Slovakia, that seems like a fantastic trade-off. We were left longing for more with our single day in Vienna. Come to think of it, we’ve seen day trips to Bratislava from Budapest online, and trains run regularly. Should be easy for one to fly in a couple of days early and see it as well. We are taking this cruise in June 2018 and reading your day to day journal is helpful in terms of what to expect each day. Thank you for sharing your adventure, it makes me even more excited about our trip. I’ve seen comments about long bus rides at each port to get to the sites. Was that your experience on the Grand European Tour? Well, yes and no. We docked in town at most of the Rhine and Danube stops. Those towns developed around the rivers, so naturally, ports are centrally located. Most of the trips that required bus rides were for towns on the Main Canal, because it was constructed recently and to preserve infrastructure and homes, they had to build it where space was still available. This itinerary looks pretty awesome. I had no idea the tours were quite so long and you get to see so many awesome places! I’d love to go on one of these cruises one day! If you do go, you’ll be amazed. The staff is remarkable, the tours are excellent (and free), and the small passenger capacity makes it an intimate experience you will never forget. You should go! River cruises are a fabulous experience. We can’t recommend them enough. A Viking cruise is on our bucket list; thanks for the info. All the places look amazing. Now you have made me want to go even more. I know what you mean. We want to take the Nile and Mekong cruises next. Thank you so much for sharing your adventures. This has been very helpful because I will be cruising from Amsterdam to Budapest in April. How did you pack all you needed in a carry-on and a back-pack? I would love to be able to do that. Hi Bette, thanks for your question. Actually, I’ve been pondering writing a post about this. In a nutshell, we always carry our valuables (camera and electronics) on board with us in our backpacks. bring travel size toiletries and leave the ones that hotels provide at home. Enjoyed the information your post included. We are scheduled to take this cruise in July 2018 and you gave me a concise idea of what to expect each day. Also greatly appreciated your ideas on packing–this cruise will require different items than on a big ship in the Caribbean! I am curious how you got permission to take pictures inside the Schönbrunn palace and the Milky Abbey. We were told it was absolutely not possible to take pictures while inside. The only part of Melk Abbey that is off limits to photographers is the library. As for Schonbrunn, they forgot to tell our tour group that we couldn’t take photos until we had already taken shots of that one room. So we stopped. I would love to do one of these river cruises and have been enjoying the posts taking note of how our small family of 3 would fare on such a cruise. I think river cruises are best when children are old enough to appreciate sightseeing and history. Most little ones have far too much energy for a ship of that size and need more room to run and play.